Topic: At the start of this subject, we looked at new forms of imperialism and the unfolding of the colonial era; we ended with critiques of globalization. How different are these forms of global interaction and integration? Answer this question with reference to one or more of the countries we have studied. It has been argued that globalization brings more overwhelming and intangible impacts than that of imperialism (Ang, 2001). Tomlinson (1991) also states that globalization brings interconnection and interdependence among global areas as a result of increased business and cultural activities; and these effects would weaken the cultural unity of individual countries. Therefore, not surprisingly many people tend to believe that globalization is the case of Western cultural imperialism or in other words, cultural imperialism implies colonization in a post-colonial world (Tomlinson, 1991). However, this essay will argue that this is not true with regards to Singapore. By focusing on three of the most integrated cultural activities, media, pop music, and tourism, this essay contends that globalization does not create homogenization in Singapore but instead, maintains and even strengthens the country’s national distinctive cultural practices (Kong, 1997). Thus, in reality, globalization is the process of individual nations’ negotiated identities (Foley, McPherson, & Matheson, 2006). According to Holton (2000), cultural consequences can be explained in three major theses: homogenization, polarization, and hybridization. The first thesis claims that global culture has become homogeneous because of Westernization or Americanization. Secondly, the polarization thesis believes global interconnection and independence do not automatically result in cultural resemblance, which, unlike economic organization and technology, is harder to standardize. However, the framework of this essay is based on the hybridization perspective, which states that culture borrows and integrates elements from others to create synergic forms. The country which has been chosen to analyze the global integration and interaction since the post-colonial era is Singapore. In the process of globalization, Singapore plays two roles: it is not only a country which represents global cultural diversity but also boasts a strong position of power for controlling local divergences (Ang, 2001). Ang (2001) also refers that Singaporean government representatives no longer speak about cultural imperialism with a defensive position but demonstrate a more self-assertive and forward-looking perspective. In fact, Singapore is increasingly presenting itself as a country with great confidence and pride in its national values and powerful relations with other countries. It is necessary to understand Singapore in context of the colonial and post-colonial period to assess the impacts of globalization. 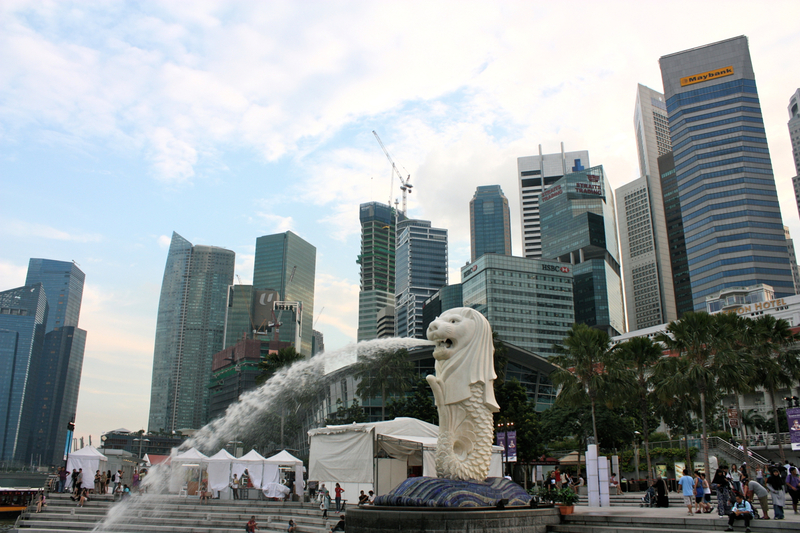 Singapore is a post-colonial city and a nation which gained its independence in 1965 (Foley et.al, 2006). Before this period, Singapore was subject to British and Dutch colonialism, Japanese occupation and has also been part of Malaysia. In order to gain independence, Singapore not only contended with the occupation from Malaysia but also faced with social and economic issues. The role of the government is crucial in the country’s advancement to becoming a developed industrialized nation (Tamney, 1996). Being a small country with almost no natural resources, Singapore had to justify its importance to the rest of the world from an early stage by adopting globalization strategies such as using English as an official language in business, politics and education; attracting multinational corporations or importing foreign talent (Kluver & Weber, 2003). As these authors mentioned, another strategy adopted to position itself as one of the most globalized nations in the world was to import popular culture around the world. There is an assumption that Singapore may lose its cultural identity because of its attempts to become the main information hub in the South East Asia region. The country has encouraged international news services and broadcasters through financial and infrastructural incentives. Consequently, many Western enterprises, including Asia Business News, ESPN, MTV, and Discovery Network have established their headquarters in Singapore (Ang, 2001). Simultaneously, the government still insisted on tight rules and censorship. As a result, this may lead to a sense of cultural insecurity and uncertainty because “Singapore seems torn between an inclination to be at the forefront of informational and technological change, on the one hand, and a determination to protect its people from what it sees as Western degradation and unbridled democracy, on the other” (Steward, 1995, p.30). However, this essay contends that the previous assumption is not reflective of Singapore’s position, especially considering the government’s strong interests in preserving their national cultural identities. Since the 1960s and 1970s, the Singaporean government has strictly governed the imports of Western cultural products as they believed these would be harmful to the values of Singaporean youth and furthermore, to the nation’s culture and lifestyles (Kong & Yeoh, 2003). As mentioned in the White Paper on Shared Values (1991, cited in Foley et. al, 2006, p.5), Singaporean citizens are encouraged to follow the principles: “nation before community and society above self; family as the basic unit of society; community support and respect for the individual; consensus, not conflict; and, racial and religious harmony”. In addition, Singapore also shows its desires of proposing Asia as a greater contributor to human civilization in the new century (Foley et. al, 2006). Singapore’s Minister of Culture said: “When we were poor, we had no say. Now that we are less poor, we should begin to assert our own point of view.” (Far Easter Economic Review, 1994, January 27th, cited in Foley et. al, 2006) He also declared that “The Western dominance of the global media will be contested by the East” (The Straits Times, 1993, February 6th, cited in Foley et. al, 2006). Hence, we can see that Singapore has a desire for a shift not only in global economic power but cultural power as well. Media, Pop music and Tourism are three of the most integrated cultural practices that represent the Singaporean identity. Media is considered a tool for the government to maintain and develop racial harmony and stability (Tan, Hao, & Chen, 1998). This is particularly important in a country such as Singapore which has different mix of cultural, religious and language groups (Bannerjee, 2002). According to the study of Tan et al. (1998), the government has led the nation to economic success over the past decades by considering media and press as effective instruments for nation-building. The public, hence, has gradually accepted the perspective that news media should co-operate with the government effectively in order to strengthen the governance of the country (Tan et. al, 1998). Facing the overwhelming appearance of Western or American satellite TV programs, countries like Singapore have shown a longstanding stance of post-colonial anti-westernization (Ang, 2001). Similarly, the need of localization is becoming more and more apparent as a force in the media. In Singapore or Asia in general, the national and regional broadcasting markets are emerging and as a result, Western-based programs and channels are becoming less popular and finding it harder to compete with local counterparts. Bannerjee (2002) also shows that now producers or broadcasters have to localize contents of their programs to cater to local languages, cultures and tastes. In other words, the local community has their own media channels to reflect their interests which eventually will help strengthen community values (Bowd, 2006). Whilist cable or satellite TV services consist of CNN and BBC World Channels, localized news services are still important features to be emphasized on. That is to say, the localization of media still occurs within and together with the larger picture of globalization (Bowd, 2006). This is the valuable indication of Singapore’s determination to maintain local identities in the midst of growing influence of Western media giants. However, what exactly the Singaporean government wants is not only to prevent Western cultural influences but also be able to sell Singaporean culture overseas (Ang, 2001). They established Singapore International Television which is a satellite TV service covering the region from northern Australia to southern China and from Papua New Guinea to the Maldives (Ang, 2001). The challenge for Singapore is not just to gain control of communication technologies but is also to offer competitive cultural products to successfully compete for the universal audience’s freedom of choice (Anwar, The Straits Times, 1994, February 1st, cited in Ang, 2001). With these objectives, Singapore will eventually be in a new position to offer more serious options and suggestions to the prevailing global political, social and economic arrangements. Another indicator of Singapore’s integrated cultural identity is its pop music industry. Whilst music can be potentially homogenized by globalization forces, as Kong (1997) argues song writers and producers and bring in their music different elements to confirm the sense of local and national identity. The case study of Lee’s music (Kong, 1997) is used as an example to emphasize the viewpoint that globalization strengthens localization or in other words, if there is little interaction between the global and local sphere, the local identification is quiet. Lee is a successful Singaporean artist and songwriter in the local and regional markets. He signed the contract with WEA – a part of the Time Warner conglomerate. Since then, he has had numerous albums and singles, performed at numerous concerts and represented Singapore in many international and regional music events. After his first solo album, Life story, which featured original songs reflecting his personal and local identity, his later music began to question and reflect upon local and global identity issues. As he once expressed the idea in The Straits Times (1989, August 13th, cited in Kong, 1997): “When you have a bit of the East and a bit of the West in you, you sometimes do not know which one to listen to. When both sides speak up, you sometimes think you are mad”. As Lee explained, as a musician he tried to do things from Singaporean perspectives to look for the musical identity of Singapore. Although Singapore is a multiracial country and surrounded by Western influences, Lee’s goal is to promote a comfortable, rather than forced, integration of Eastern and Western music (Asahi Evening News, 1990, June 30th, cited in Kong, 1997). Wells (1995) believed that small countries find it difficult to develop their local music in order to compete with cheap and popular imports but Lee’s case has proved that Well’s statement is not accurate. Instead, Kong (1997) argues in his paper that where the interaction with global forces is stronger, the assertion of the locals is concurrently greater. In the case study, Lee has shown that he blended traditional instruments with synthesizers or folk melodies with techno rhythms. For instance, he mixed a traditional Malaysian folk song – ‘Rasa Sayang’ with modern rap. He also used Singlish (i.e. Singaporean English) to show the integration between cultures, especially, how languages of the colonials and international market have been adapted to local twist or idiolect (Chambers, 1994). Thus, besides Standard English, colloquial Chinese and Malaysian expressions such as ‘shiok’, ‘lah’, ‘leh’, and ‘meh’ are used in Lee’s music as well. Despite exchanging and learning ideas globally, the sense of locals is preserved strongly in Lee’s music. In his lyrics, local scenes and subjects carry a very strong Singaporean flavor. Namely, Lee’s music helps to recover the communal heritage and this reflects the emergence of local particularism with regard to so-called Western universalism. For example, one of his albums named ‘The Year of Monkey’ as Monkey is one of animals according to Chinese horoscope. In February 1991, during his Asia Major Japan Tour to five cities, the stage was decorated to reflect Lee’s Chinese heritage with the theme of Chinese New Year (Kong, 1997). Besides communal heritage, Lee attempts to assert national history and heritage. In one of his songs named ‘A Human Touch’, in which the lyrics sing as ‘your sense of local pride’ and ‘old colonial ways are gone’, Lee recalls Singapore’s independence from the British. The evidence from of Lee’s music case study reveals the very fact that regional music markets are not homogenized. This musical analysis provides better understanding with regards to intersections between global and local communities. In short, when locals are confronted by the Western cultural imperialism, they contend themselves even more (Halfacree & Kitchin, 1996). From a political point of view, globalization, therefore, involves a process of negotiated identities. Events sector in tourism industry reflects the development of a nation during the globalization process. According to Foley et al. (2006), arts and culture are more likely to be neglected when a young nation still has to deal with its economic problems, health issues, or the underdevelopment of infrastructure, education and transport system, etc. As the nation such as Singapore acquired economic successes during the period of rapid industrialization, its culture has to be received greater attention by the government. The authors referred to the idea of a Singaporean policy-maker to argue that only when basic necessities of life (i.e. housing, education, health care, etc.) have been established, people will believe that there is more in life than just the materials. As a result, arts started to appear in Singaporean’s government agenda. Similarly to media and music, it is stated that cultural events in Singapore are not homogenized in globalizing processes (Foley et. al, 2006). Singapore is not affected by forces of cultural imperialism in which the country’s cultural events have to reflect the principals of Western culture. In contrast, the authors claim that the locals reassert themselves more actively and constantly. NAC’s ‘global city for the arts’ and the IFEA’s ‘eventful city’ strategies (Foley et. al, 2006) demonstrate that Singapore knows how to compete smartly and succeed in event sector, but the nation still keep an eye on protecting its national cultural identity. For example, a number of local ethnic events reflect the heterogeneous cultural, societal and religious identities. For example, Thaipusam Festival is a day-long event in which Hindu devotees practice their thanksgiving procession. The specialty of this is the element of body mutilation as different body parts like tongue, cheek, etc. are pierced with metal skewers. Another example is Chinese community festivals which are mostly held as fundraising events exclusively within Chinese speaking people only. That is to say, there is the increase in the position of locals within the complexity of power relations between the global and local sphere (Foley et. al, 2006). Furthermore, the argument of Foley et al. (2006) is also supported by Robertson (1995) when both disagree with studies that national cultures are destroyed by global forces. In fact, from the case of cultural events in Singapore there is little indication to claim that the sense of ‘home’ is disappeared when the nation becomes more globalized. One of strategies that have been currently taken place in Singapore is to hold local events that are hidden from tourists as in order to protect the local community. Explicitly, balancing tourist needs and local needs is the main objective for Singapore to guarantee the nation’s long term growth as a policy-maker has made an illustration: “When you look at all these major events I think the first priority is to understand that events must be local first before you go outside. If you have 50,000 [seats] and you can only fill it with 5,000 people even though it has got massive international appeal you are really losing out because international appeal takes time to build. The number of people to come takes time so events must always be local first. They must appeal to the domestic audience before you actually move ahead’ (Foley et. al, 2006, p.12). In conclusion, by analyzing Singapore’s media, pop music and tourism industries, this essay has found the congruent point of view that globalization forces do not bring in the homogenization of culture to the country but instead, they are opportunities for asserting and strengthening local culture identities. Although the strategy for the country’s development is to globalize by making Singapore an information hub of the region (Ang, 2001) and a ‘global city for the arts’ (Foley et. al, 2006), the government has been consistent in preserving the national culture through strict regulations and supportive policies for the locals even since 1960s and 1970s. Once again, taking cultural activities into consideration of political perspectives, globalization is not the case of Western cultural imperialism but instead, as demonstrated in Singapore, can engage the process of negotiated national identities. Ang, I. (2001). Desperately guarding borders: media globalization, ‘cultural imperialism’, and the rise of ‘Asia’. In Souchou, Y. (ed), House of Glass: Culture, Modernity, and the State in Southeast Asia. Singapore: Institute of Southeast Asian Studies. Bannerjee, I. (2002). The Locals Strike Back? Media Globalization and Localization in the New Asian Television Landscape. Gazette: The International Journal for Communication Studies, 64(6), 517-535. Bowd, K. (2006). Intersections of community and journalism in Australia and Singapore. Asia Pacific Media Educator, 17(6), 55-70. Chambers, I. (1994). Migrancy, culture, identity. London and New York: Routledge. Foley, M., McPherson, G., & Matheson, C. (2006). Glocalisation and Singaporean Festivals. International Journal of Event Management Research, 2(1), 1-16. Halfacree, K. H. & Kitchin, R. M. (1996). ‘Madchester rave on’: placing the fragments of popular music. Area, 28, 47-55. Holton, R. (2000). Globalization’s Cultural Consequences. Annals of the American Academy of Political and Social Science, 570, 140-152. Kluver, R. & Weber, I. (2003). Patriotism and the Limits of Globalization: Renegotiating Citizenship in Singapore. Journal of Communication Inquiry, 27(4), 371-388. Kong, L. (1997). Popular music in a transnational world: the construction of local identities in Singapore. Asia Pacific Viewpoint, 38(1), 19-36. Kong, L. & Yeoh, B. (2003). The politics of landscapes in Singapore: construction of ‘nation’. Syracuse: Syracuse University Press. Robertson, R. (1995). Globalization: time-space and homogeneity-heterogeneity. In Featherstone, M., Lash, S., & Robertson, R. (Eds), Global Modernities (pp. 25-44), London:Sage. Stewart, I. (1995, Jannuary 21st-22nd). Chorus of Contempt. The Weekend Australian. Tamney, J. B. (1996). The struggle over Singapore’s soul. Berlin: Walter De Gruyter. Tan, L. K., Hao, X., & Chen, Y. (1998). The Singapore Press as a Mediator Between the Government and the Public, Media Asia, 25(4), 204-209,212. Tomlinson, J. (1991). Cultural Imperialism: A Critical Introduction. London: Pinter Publisher. Wells, A. (1995, July 23rd-29th). The internationalization of Asian popular music: Singapore and Taiwan. Paper presented at the International Popular Culture Conference, Oxford University. Wow. Well researched and argued. You picked a good layout too in your wp theme, which I think for me made the large word count (for a blog) and integrated references a relative breeze to handle. You make a strong case against the popular notion of western imperialism in the guise of globalization and seem to be up to date on notions like monoculturalism in the guise of multiculturalism, which gave you a lot of authority as well. You present a strong case, with Singapore, and by extension other countries. I do question though, knowing the authoritarian arm of the government there, whether people might not make the choice to be more western without its presence in their psyches. I have a close colleague who grew up in Singapore and he argues that while the stringent fines and punishments the government imposes there might be hard to comprehend for freedom loving individualists who don’t get out much, Singapore natives point to how clean and structured everything is and tend to think all of that structure is worth it. I don’t know. So is it not this mindset, which might have been inculcated into the citizens there (chicken or the egg, I know) that keeps them from embracing the more free-spirited “global” enterprises? Perhaps they have rationalized an attitude of “be in the world but not of the world” ignoring the world in front of them for the more immediate securities and accompanying fears. One example you mention is Lee’s music. Could he win “sponsored” awards and win national attention precisely because he tows the party line among a sea who don’t? Thanks again for the essay. As you can see, you got my attention. Hi!! Mind I ask if its Chicago referencing style that you used? Hi, I use APA referencing style.